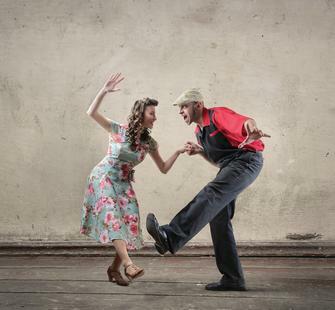 Margot Helm and Richard Perkins have been dancing Lindy Hop for over a decade. They have performed with and choreographed for the Bay Area performance troupe Double or Nothing, and are co-founders of For Dancers Only, the South Bay venue for swing dancing addicts. If not on the dance floor, Margot can often be found in the DJ booth, playing a mix of trad jazz, big band, gypsy swing and jump blues from original and contemporary bands. Note: No wine or refreshments will be offered at dance classes. Please make arrangements to eat before or after the class.